Casa Rocamora, resuming my particular modernisme route from previous posts, is located at Passeig de Gracia 6 - 8 next to carrer Casp. As an introduction you should know that Passeig de Gracia was originally a path leading to Via Augusta during Roman times. In the early 19th century, it was urbanized by the Marquis of Campo Sagrado, and was electrified in 1899. Local bourgeoisie was establishing beyond the old city limits in the new Eixample (a grid of symmetrical blocks that was never finished) designed by Catalan urban planner Ildefons Cerdà. At the beginning of the 20th century, most of the best modernist houses were built in the district. Casa Rocamora dates back from 1914. 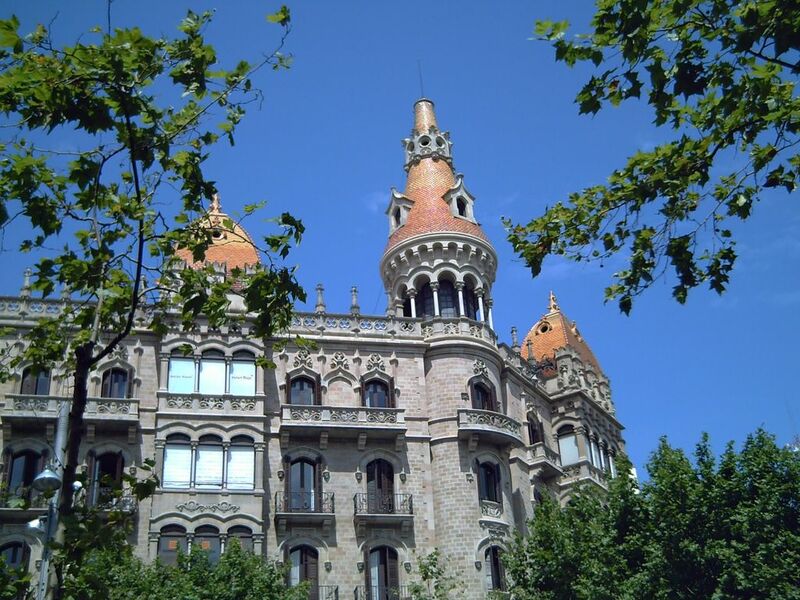 It was designed by brothers Bonaventura and Joaquim Basegoda inspired in renaissance Gothic. 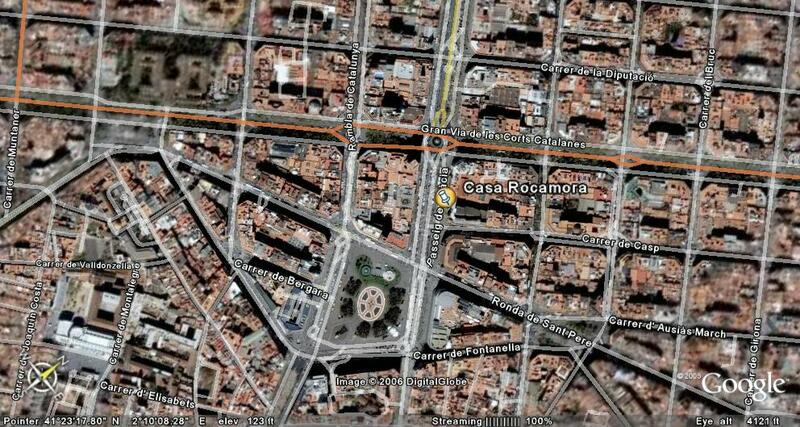 See Casa Rocamora Picture on a Google Earth Map. the design of the tower is unique..Lovely,lovely details ! Casa Rocamora is one of my favourite modernist buildings,it looks so "medieval" and beautiful... and the picture is also very good. I didn't know that the Passeig de Gracia leaded to the Via Augusta! It's a very interesting piece of information, thanks! A very romantic look to this building. I would love to visit your city and see it. Wonderful architecture. 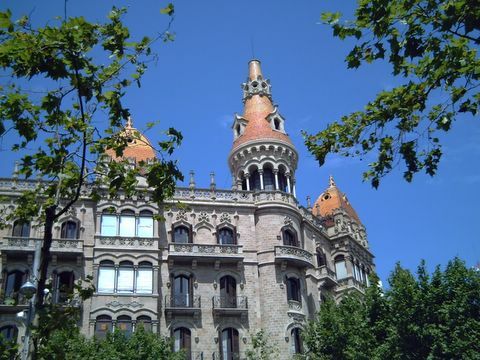 I visited this place during my Spain visit in 2010.